Trainer Aaron Purcell has the Adelaide Cup as one of the targets for Flemington winner Khezerabad. 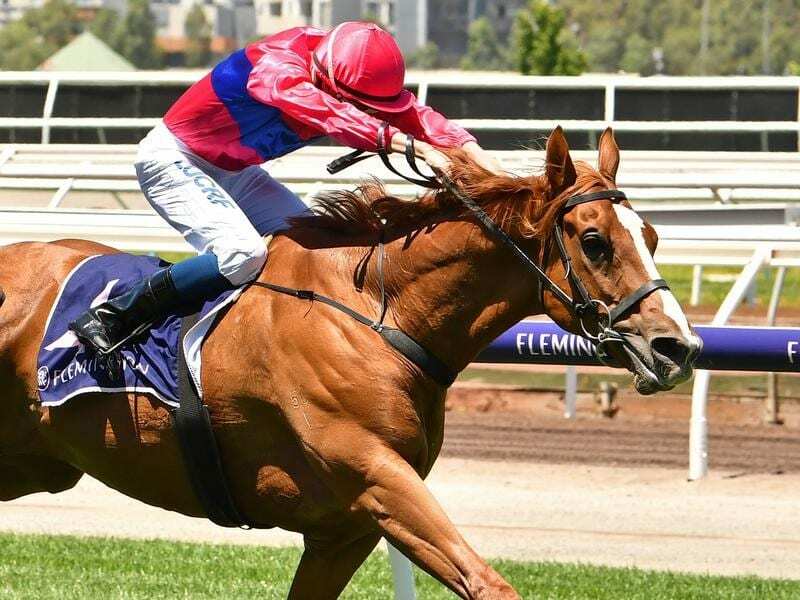 Feature distance races both on the Flat and over jumps are on the radar for import Khezerabad, who has scored an upset city win in a staying race at Flemington. The Aaron Purcell-trained seven-year-old sat outside the leader and $2.25 favourite Lycurgus and was outsprinted early in the home straight in Saturday’s Voting Opens Monday for All-Star Mile, before he rallied strongly under Michael Dee. Khezerabad ($21) relished every bit of the 2500m as he picked up in the final 200m to beat One For Later ($19) by a long head with two lengths to Pedro Ximenez ($4.40) third. “He’s a horse with good stamina but he probably lacks a bit of sprint,” Purcell said. Purcell said the Adelaide Cup (3200m) in March was the first major target for Khezerabad this campaign while the Galleywood Hurdle on his home track at Warrnambool in early May is also in the plans. “The plan was the Adelaide Cup into the Galleywood,” Purcell said. “He would probably have one hurdle trial and one hurdle run (after the Adelaide Cup) into the Galleywood. Purcell said he had long considered Khezerabad an Adelaide Cup prospect. “He was going to head there last year but he had a minor injury,” he said. “We decided to look after him and this preparation has all been geared around the Adelaide Cup.